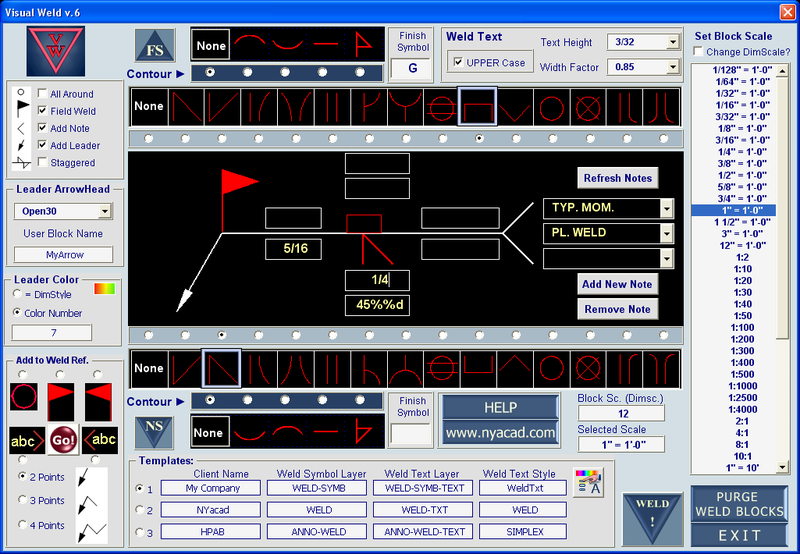 The program for adding Weld Symbols in AutoCAD drawings. Advanced interface and options of this program will help you in your work.Almost all possible weld symbols can be designed in form and added in drawing. New Symbols; Purge unused Weld Blocks; Attached Leaders; Three different customized templates; Custom arrowheads.